It was the largest startup demo day ever held in Montreal—perhaps the largest ever held in Canada. Mega Demo Day, on Dec. 2, drew 1,500 people to watch pitches from 12 startups, as those startups graduated from one of Montreal’s most established accelerator programs and from one of its newest. 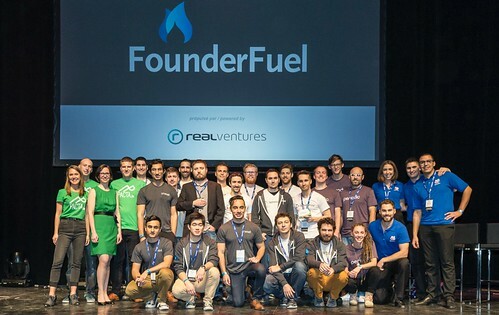 For FounderFuel, it was the program’s eighth demo day in five years. For InnoCité, a new accelerator program launched by the City of Montreal over the summer, it was the first. It was a spirit of collaboration that brought the two demo days together, says John Stokes, a general partner at Real Ventures. The venture capital fund runs the FounderFuel program and is an investor in InnoCité. InnoCité has a very specific mission, to encourage startups that will help cities innovate quickly and provide 21st century services to their citizens, Béatrice Couture, the general director of the program, told the event audience. But that mission hasn’t limited the types of companies in the program. Initially, the product is just designed to prevent water leaks, though other modules are intended to follow.bWater leaks are responsible for over 50 per cent of all home insurance claims, says the company’s founder Mathieu Lachaîne. DigitalState, a platform for governments to offer online services to their citizens. It’s launched a pilot projects with the City of Montreal as well as with in Ontario. It will also help governments share the services they build with other local governments. Prkng, which helps users understand street parking rules around them and find spots in nearby lots. It also sends users an alert when their need to move their car or top up a meter. It currently has 17,000 users and will soon begin expanding outside of Montreal and Quebec City. It’s aiming at 15 cities over the next year, starting with New York and Seattle. Sensequake, which helps engineers conduct seismic assessments faster and more easily than current methods. Dasbox, a monitoring system for the cold supply chain, the temperature-controlled storage and transportation processes for refrigerated items including some food and medicine. The device, which has 31 sensors can be placed on a truck and sends an alert if something goes wrong. The companies graduating from FounderFuel were also a diverse group, ranging from a social network to a media player for virtual reality devices. Stokes says it’s a sign that while Montreal’s tech community is doing well, it’s now about more than just tech. Oneset, a fitness-focused social network that already has over 27,000 users. SpherePlay, a media player for any virtual reality device. Zora, a platform for landlords to vet potential renters using a broader dataset than credit checks, including the use of social media accounts. GradeSlam, the $15-a-month unlimited online tutoring service. Periodic, a platform for turning time-based services into a product that can easily be sold online and can also be used as a scheduling tool. It’s already being used by Tesla, the City of New York, Indiana University and glasses retailer BonLook. 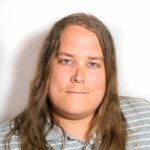 Delve Labs, the developer of Warden, an autonomous computer security system that learns from other deployments and from false positives. 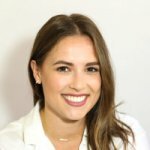 The startup has already closed a $600,000 seed round. Pacta, which has developed a proactive contract management platform that allows business owners to search contracts and gives them alerts before important dates.